CEOs are busy people and are constantly under pressure. In a technological age, CEOs whether they like it or not, are always reachable. They constantly have to be on-call and check their emails. There is never a spare moment where CEOs don’t have something to do. Nonetheless, CEOs need not just use their phones and other electronic devices to answer calls and emails. Rather, they can also leverage their electronic devices by downloading apps that will increase their productivity, knowledge and even reduce their stress levels. Evernote allows you to capture, organise and share notes from anywhere, meaning your best ideas are always with you and always in sync. With Evernote, you can organise your work and declutter your life by collection everything that matters in one place and find it when you need it. Furthermore, the app allows you to enhance your notes with links, checklists, tables, attachments, audio recordings and even makes it possible to search handwritten notes. But don’t only keep your notes to yourself, share them with your team from initial brainstorm to finished project. The Marker is one of Israel’s leading news publications on all things economics and finance. Read The Marker and you’ll be in the know of all the latest business developments in Israel and the consequences it might have on your company. Similarly to The Marker, Globes is Israel’s business arena. 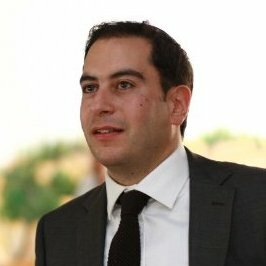 Globes has a unique ability to report on Israel’s day-to-day news from a business perspective, providing readers with the impact developments in Israel have on the business community. Mindfulness (or meditation) has been shown to help us reduce stress levels, focus more and sleep better. Headspace is a fantastic app that makes meditation simple. In just ten minutes everyday, the Headspace app can help you feel relaxed and less stressed. This app is no more suitable than for CEOs who’s stress levels are demonstrably higher than the average person. You might think that you don’t have ten minutes of spare time but be assured that this mere investment can help you improve your wellbeing and focus more than any cup of coffee is able to. Coursera offers 1000s of online courses taught by instructors from the world’s best universities and educational institutions. Learn a new skill in as little as 4-6 weeks, earn course certificates and even learn university-recognised degrees online. On Coursera you can learn on your phone or computer and have access to academic and technical support. Coursera was founded in 2012 by two Stanford Computer Science professors who wanted to share their knowledge and skills with the world. On Coursera, they’ve built a platform where anyone, anywhere can learn and earn credentials from the world’s top university and education providers. Osim Historia has a wide range of podcasts with leading Israeli historians, businesspeople, political figures, medical professionals and more. 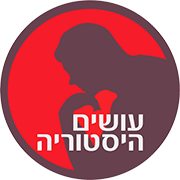 If you’re looking to gain insight into Israel’s most brilliant minds, Osim Historia is the perfect app for you. Most of the podcasts are in Hebrew but there are some English language podcasts available on high tech, cyber security and history. If you’re an information junkie (which I assume you are as a CEO), Blinkist is the app for you. In just 15 minutes of reading or listening, the Blinkist app allows you to gain key insights into 2500+ bestselling nonfiction books. Boost your professional skills by learning the essential ideas from the best books in your field, from productivity to business to science. INSEAD Knowledge showcases the latest business thinking and views from award-winning faculty and global contributors. Updated daily, with weekly recommendations from the editor and a tablet and smartphone app, it is a free resource for global executives and managers looking for answers to business challenges. The app provides insights on leadership, organisations, economics and finance, strategy, entrepreneurship, operations management, customers, careers, family businesses and more. If you want to improve your managerial and problem solving skills, you won’t find too many resources more useful than INSEAD Knowledge. With over 8 million downloads and a 4.6/5 star rating, Podcast Addict is the number one podcast app, featuring tens of thousands podcasts, from podcasts on business, to computer science to politics. After downloading this app, you will become a podcast addict. The perfect way to make the most of your time in the car or whilst exercising. When your team needs to start a project, hire more employees, write some code, review a sales contract, finalise next year’s budget, do significance testing or just organise an office party, Slack can do it all. Slack is a great way to interact with your employees and keep on top of business related activities. With millions of downloads, Slack has become the leading business-related messaging app in the world. At DataToCapital, we love these apps and couldn’t recommend them more highly. By using these resources, we truly believe you’ll be more knowledgeable, organised and relaxed. DataToCapital is a boutique management consulting firm that supports global tier-1 firms and start-up companies operating in Israel in their route to excellence and market dominance. Our core services, designed for CEOs, Executives (VP-level and above) and Entrepreneurs, can be divided into three areas: Market Intelligence, Corporate and Product Strategy, and Execution Support on top-down strategic initiatives. The quality of the work we deliver in the three areas mentioned above is equivalent to what your company may already get from the top-3 consulting firms that operate in the Israeli market, BUT here’s the twist and why our tier-1 clients think we are superior. We don’t only provide smart recommendations, we work closely with the management team and can also support driving the execution of their strategic initiatives behind the scenes or as a proxy. We are at the strategic intersection of Business and Technology. Thanks to our rich background, we know how to connect the dots between the two worlds, and how to be very creative when it comes to disrupting business models or addressing sub-optimized processes with the help of advanced technological solutions (Machine Learning, Big Data, Data Visualization, Enterprise Software Solutions, and many other tools present in our toolbox). This is a built-in feature. No account manager, no complex communication chain, etc... This is why our firm aims to dominate the management consulting market in Israel with no more than eight talents (...on steroids). Our long-term vision is to become the trusted advisor to the most influential businesses and institutions operating in Israel, and help them become global leaders in their markets.